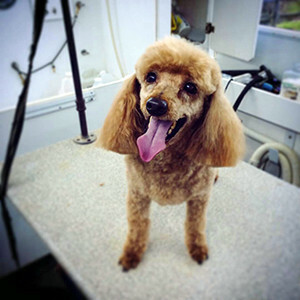 Find answers to commonly asked questions about Mobile Pet Grooming. Still have questions? Just contact us for answers! What is mobile pet grooming? 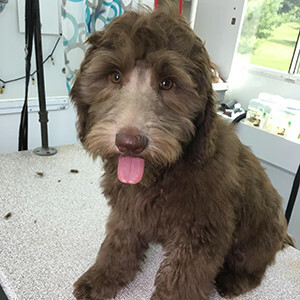 It is professional grooming in a custom and self-contained mobile unit that arrives at your door to take care of your pet's grooming needs. Mobile pet grooming is preferred by most of today's busy pet owners. The convenience for you and the exclusive attention for your pet make mobile grooming the most sensible choice. Our mobile salon is completely equipped to provide a safe, attentive, and comfortable grooming experience for your pet. 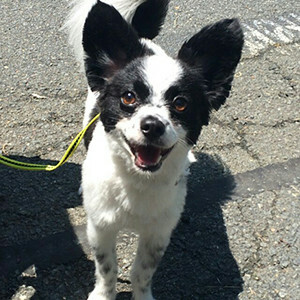 Why a mobile pet groomer? 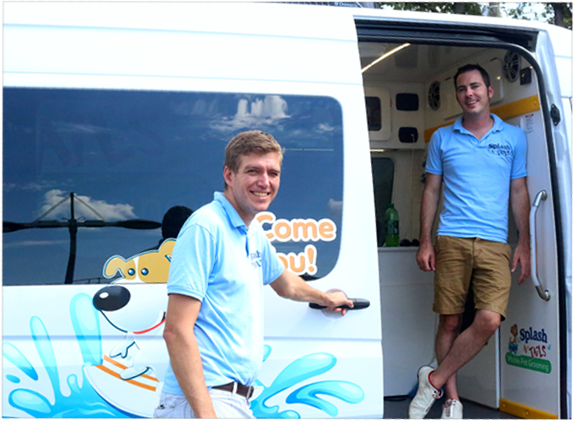 Door-To-Door-Service – Splash N' Tail's state-of-the-art, climate controlled (heated and air-conditioned), and custom designed mobile unit comes conveniently to your door! Convenience – You can stay home, no more driving in traffic with an anxious pet in the car. Less Hassle – No more rearranging your whole day around dropping off AND picking up your pet. Professionalism – Your pet is given the groomer's undivided time and attention. Less Stress – More familiar, quiet setting reduces stress on your pet, especially for older pets or those with separation anxieties. Cleanliness – Your pet is the only animal in our sterile salon at the time, so there is no contact with other pets, which may carry disease and parasites. No Car Sickness – No more sick pets and messes to clean on the way to AND from the salon. Safety – No crates or crate drying. 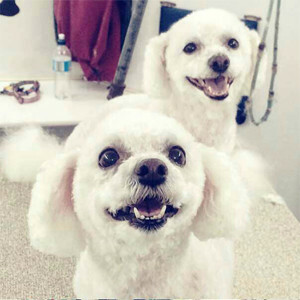 Faster Service – Your pet is groomed from start to finish at the time of your appointment. Yes! Splash N' Tails Mobile Pet Grooming Salon provides our services to both canines and felines. Do you need to use my electricity or hose? Our customized mobile unit is fully equipped with a generator for electricity and a fresh water reservoir. 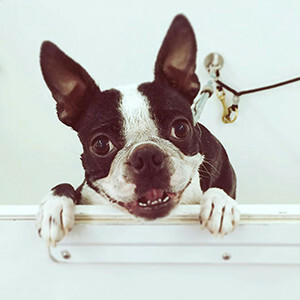 We use ample water when bathing and rinsing your pet, especially for our larger pups. 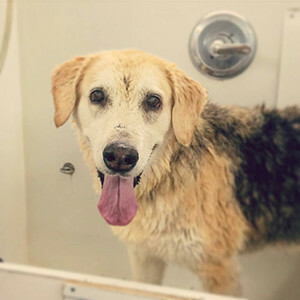 Therefore, if you have two or more pets to be groomed, we do require access to a water supply to insure we have enough water to properly bathe and rinse your pets. How long does the grooming typically take? Anywhere from 30 minutes to two hours. Times are based on the size of your pet, coat condition, hair length, etc. (Extremely hairy or very large dogs naturally take longer to groom). 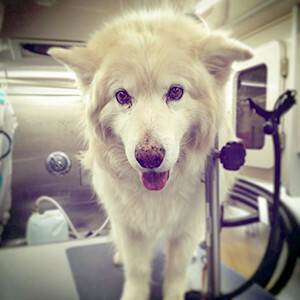 Yes, we always use warm water on your pet and our mobile unit contains a built-in water heater. What is the De-shedding Treatment? The De-shedding Treatment is a specialized grooming process, which if done every 4-6 weeks, significantly reduces shedding by 60 – 80%. The process is safe and comfortable for your pet, removing the undercoat (the part your pet sheds) and leaving behind a glistening coat. We recommend every 4 – 6 weeks. Most of our client's book anywhere from once a week to every 6 weeks.